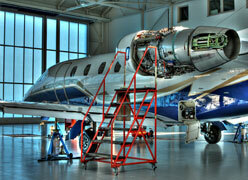 Maintaining real time safety requirements is a standard at Onyx Jet Group. Our ability to encompass all realms of safety to make our clients feel at ease while flying is a necessary tool we ensure to deliver. It is our position to allow our clients the simplicity of knowing they are in the safest aircraft with the most experienced crew available in today’s charter market. We strive to alleviate any concerns our clients have regarding safe travel. Onyx Jet Group supplies ARGUS Safety Reports on every flight. Additionally, we verify pilot hours, maintenance records and insurance to make certain our clients feel confident and have peace of mind. Each operator adheres to strict part 135 FAA regulations.